When you envision the perfect wedding day, are you thinking about design? There’s a strong chance you are. 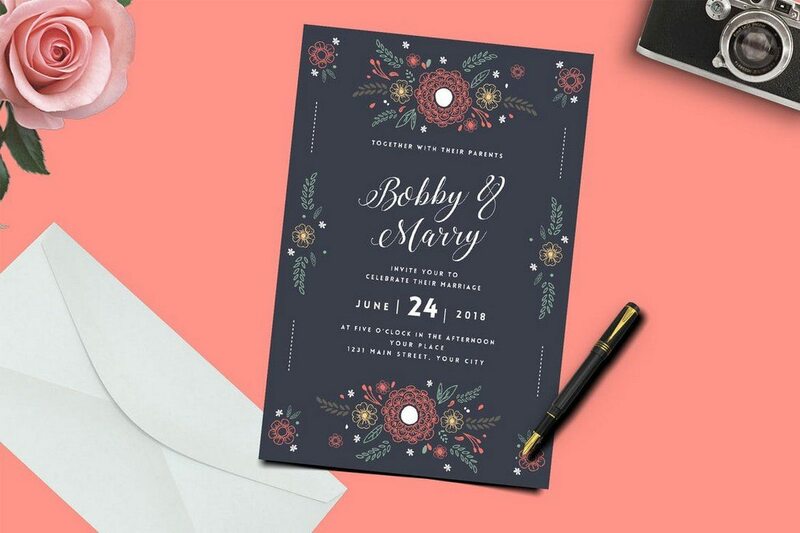 From color to calligraphy to how invitations or your wedding website looks, almost every aspect of your wedding will involve some design. Start thinking about these elements early to help take some of the stress out of the process with our guide to elements that will help you design the perfect wedding. Why Is Design Important for Your Wedding? You want every aspect of your wedding to be perfect, and design is a key part of that. Many of the designed items for your wedding are things that you can think about and take care of early in the planning process. From invitations to thank you notes, printed items should reflect the same design style as the event itself. And that’s why design is so important when it comes to weddings. 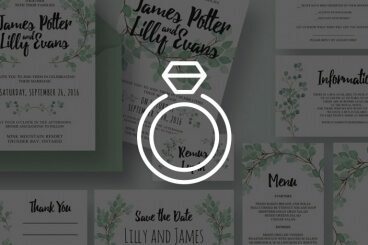 So what elements do you need to design heading into your wedding day? While there’s design in everything – the way flowers are arranged to seating charts – there are a few more public-facing examples of graphic design to think about. There are some wedding design elements that never go out of style. 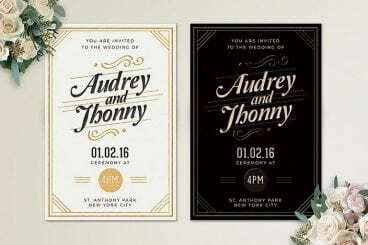 These timeless graphic design elements can work in a pinch if you need something quickly or function beautifully for someone who is undecided on a look or theme for wedding pieces. 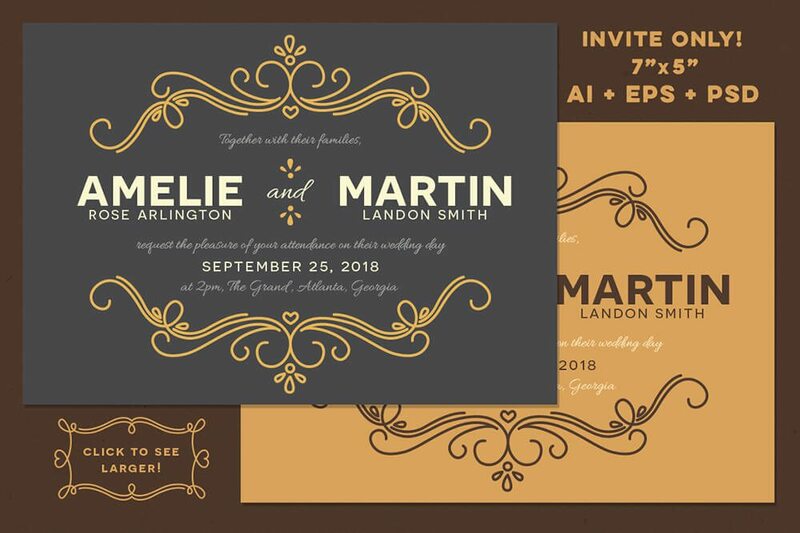 Swashes and lines: Beautiful swashes, flourishes and lines can bring together elements in often text-heavy designs such as invitations. The same elements can carry over to other designed pieces as well for a more cohesive feel. 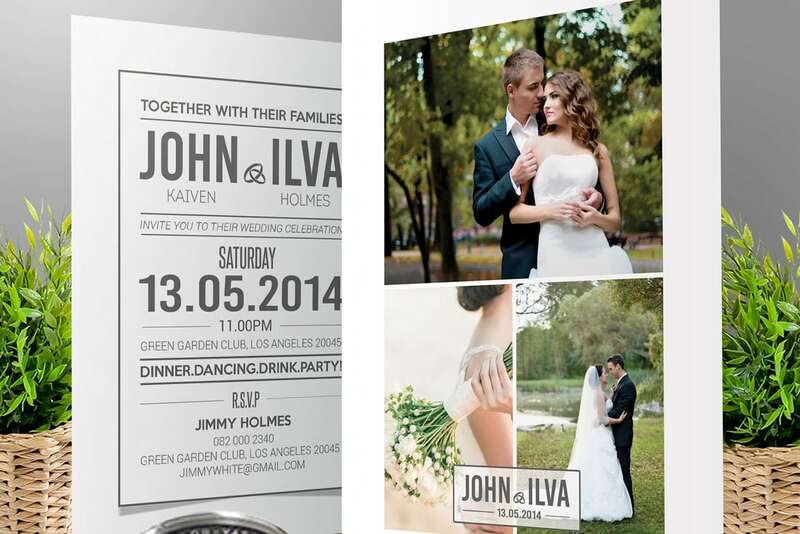 Beautiful wedding invitations can make a huge difference when it comes to your special day. 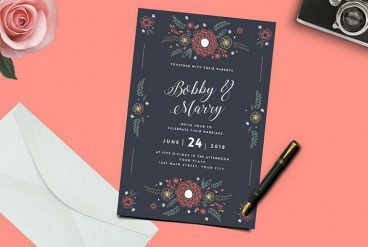 Whether your wedding style is vintage, floral, modern, minimal, or hand made, one of these invitation templates will be perfect! 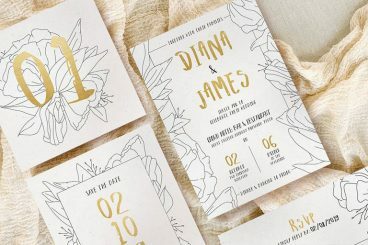 These invitation templates contain all the essentials including ‘Save the Date’, ‘RSVP’ and ‘Thank You’ notes in addition to a regular wedding invite. All the templates are easily editable with Photoshop, and comes in a print-ready format so you can instantly edit the text and send them out to your friends and family! 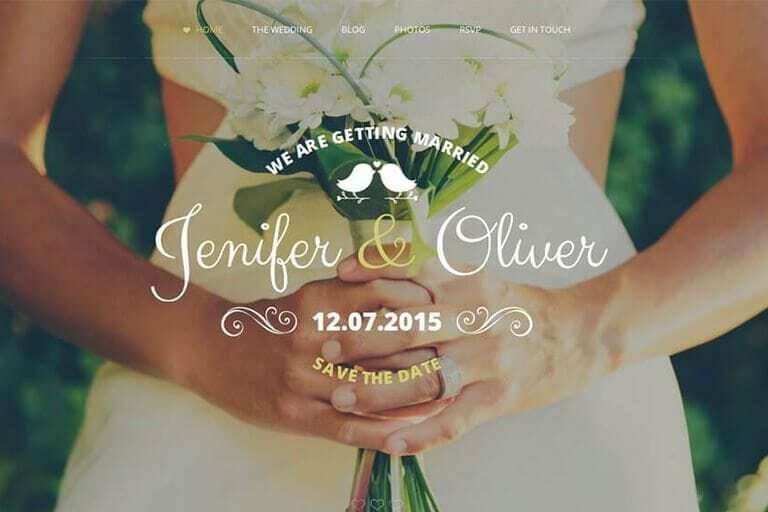 Still haven’t found the perfect template for your wedding website? Of course not. Why else would you be here on this page, right? Well, don’t worry. We’ve got you covered. Hopefully, you’ll be able to conclude your search here. We all know how much work you have to put into planning a wedding. 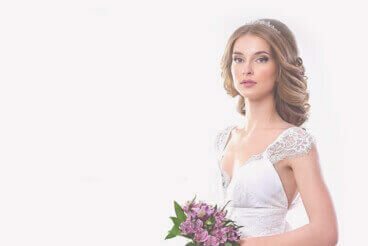 So, to save you hours of time that go into coding a website or browsing the web to find the perfect HTML template, we handpicked the best and most beautiful wedding website templates just for you. 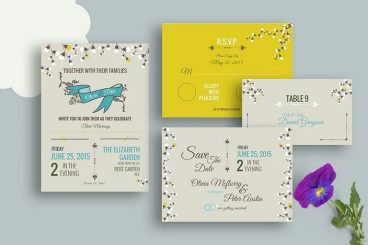 These templates are not only beautiful but are also quite affordable, and easy to customize. Which means, you can save some more money from your wedding budget! 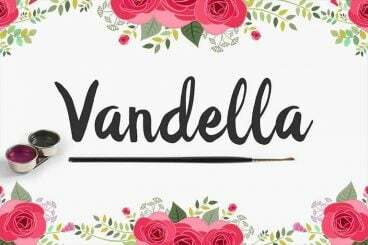 Having a wedding website or blog is all the rage, and it can be a great way to keep your friends and family up-to-date with your wedding planning for the special day. There are lots of services out there to help, but many are quite expensive or complicated. Today we’re taking a look at how you can build your own wedding website in a few simple steps, using the Wedding Tumblr theme. 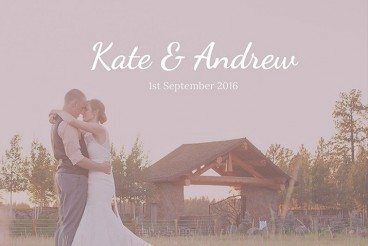 You’ll have a wedding website to be proud of, in no time at all (here’s an example). All for the price of a couple of wedding magazines!